If you’d like to donate electronics but are unsure of which Athens, Georgia, charity to donate to, consider choosing American Kidney Services. As a registered 501(c)3 charitable organization, the main purpose of American Kidney Services is to help those battling renal disease. 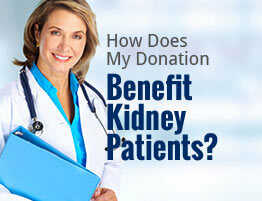 We do this by accepting donations and giving all generated proceeds to the American Kidney Fund. In turn, the American Kidney Fund – which received a perfect 4-star rating from the nation’s top charity evaluator, Charity Navigator – uses 97 cents of every dollar raised to help patients with renal disease pay for necessities, such as rent and transportation. To make it easy for you to donate electronics to our charity, we give you the option of leaving your donations in any of our drop boxes around town. If you’d prefer that we come to you, all we ask is that you fill out our online form so that one of our collection vehicles can stop by your home and pick up your donations. If you have any questions about how to donate electronics or any other items, such as clothing, housewares, or small furniture, to American Kidney Services in Athens, GA, contact us today.